What better way to shake off a long drive than with a a little pampering? The spa at Fairmont Mission Inn is a short walk from the main building and offers five star treatments ranging from massages and facials to more spiritual offerings such as reiki, chakra reading and balancing, and body-energy alignment to name a few. There is no better way to see wine country than from a bird's eye view. As the sun rises over the valley and the early morning veil of mist lifts to reveal the region's terroir, you're left with an endless vista of sprawling vineyards, rolling hills and historic estates. The team at Sonoma Ballooning Adventures have decades of experience under their belt, and know the region like the back of their hand. 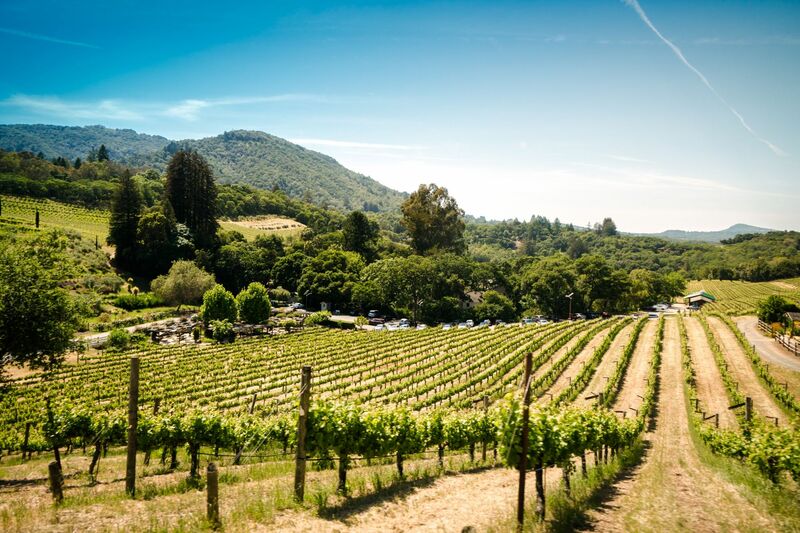 A scenic 40 minute drive from Sonoma is Healdsburg. On first impression, it's your quintessential American town, but look a little closer and you'll find that this seemingly quaint corner of the world is brimming with gems, well on its way to becoming a culinary hotspot. Create a cheesy roadtrip playlist and hit Highway 1 for a leisurely drive along the coast. From Jenner to Bodega Bay, there are plenty of quirky pitstops as well as breathtaking lookout points. Keep an eye out for the area's wildlife, including seals and—if you're lucky—whales. The Barlow is a 12-acre industrial-chic outdoor market district featuring local food, wine, beer, spirits and crafts—all by Sonoma County artisans. Spend an couple of hours meandering the outlets, from the worker-run Community Market where the motto is “Food for people, not for profit” to British style cheesemaker WM Cofield. For the past 20 years, this cosy brasserie has been serving up classic French cuisine made with local ingredients. The Girl and the Fig is separated into two rooms—one with a beautiful antique bar and the other a shabby-chic dining area with stained wood details and Spanish yellow walls. The food, like the decor, is fuss-free and full of character. Ideal for sharing with friends, accompanied with a bottle of wine from the region.